AK releases new LP album ‘L.I.F.E’ | Sonic Smash-Music! The songwriter and producer of hip hop known as AK has released his latest official LP album, “L.I.F.E.” The album contains 12 original AK tracks for an approximate total listening time of 45 minutes. It has been proudly published as an independent release without the involvement of the corporate music industry on the Malik Entertainment record label. Aggressive, full of bass, and packed with attitude, “L.I.F.E” showcases AK as one of the most intriguing hip hop artists of the year so far and promises that he has plenty more where that came from. AK cites as main artistic influences Tupac Shakur, the Notorious B.I.G, Big Pun, N.W.A, Big L, and Mobb Deep. AK’s own sound has been described as smooth, rolling, and marked by his trademark direct delivery. With an emphasis on poetry underscored by minimalist beats and classy, nineties-style melody lines, “L.I.F.E” by AK has a little something for everybody. AK has publicly noted his disappointment in the current direction of hip hop as a whole, as has his label. 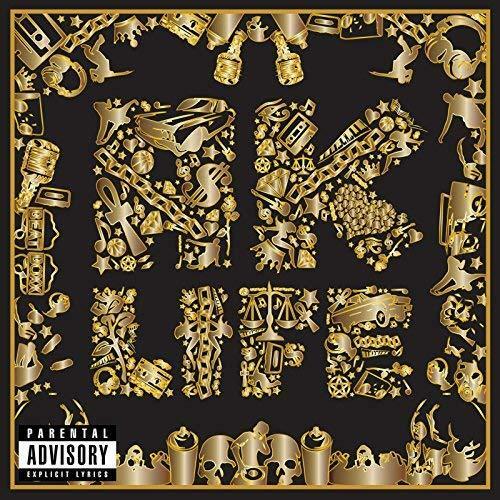 Malik has described “L.I.F.E” by AK as a record which aims to help turn the course of rap music. “L.I.F.E” by AK on the Malik Entertainment label is available from over 600 quality digital music stores online worldwide now. Get in early, hip hop fans. This entry was tagged ak, keep on moving, l.i.f.e, new indie hip hop.